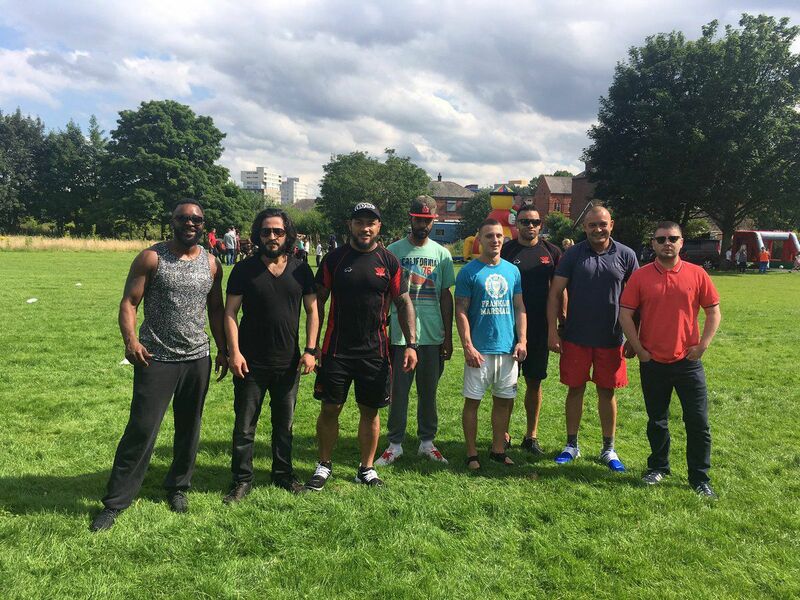 The Salford Red Devils players have been busy in recent weeks, attending events at schools and community clubs to engage with supporters young and old, and encourage participation in rugby league at a community level. The Super League players have been on hand at clubs such as Langworthy Reds, and school fayres such that held by our new partner school, Abbotts primary, at which Junior Sa’u and Mason Caton-Brown take part in a tug-of-war. Through their Foundation, the Salford Red Devils are heavily involved in their community, providing expert coaching at a wide variety of community clubs, and engaging with 134 schools across Salford, Manchester, Trafford and Bury, promoting healthy lifestyles, whilst introducing children to the sport of rugby league. The player visits have proved to be a big hit with Salford supporters, who have not missed the opportunity take photo’s with their rugby league heroes. The players will be out and about again on the 29th and 30th of July, as they support the ‘Ride to Rio’ Virtual Cycle Challenge at the intu-trafford centre.